“With the first pick of the 2007 draft, the Portland Trailblazers select, Kevin Durant from Texas”. Do the Blazer fans, GM, and organization wish David Stern said those exact words? Greg Oden can’t be considered a bust just yet, but looking at KD now is like “dude, you gotta be kidding you didn’t pick him over Oden”. I understand size matters. No pun intended of course. Oden had a pretty good year in Ohio State. Maybe the Blazers passed on Durant because the kid at the time couldn’t even bench more than 100 pounds. Portland has had a injury bug season year, and they STILL made the playoffs. Let’s say Durant WAS drafted by the Blazers in 07. Their line-up today would be Andre Miller, Brandon Roy, Kevin Durant, Lamarcus Aldridge, and Marcus Camby. Not to mention Jerryd Bayless, Nicolas Batum, Rudy Fernandez, and Martell Webster. That is a STACKED team just with KD on it. Look at the Thunder now. They have Westbrook, Durant, and Green that does the work. There’s no doubt if KD was on the Blazers, they would make the playoffs. But what seed would they be in? To be honest, they would be nowhere under the 2nd seed. The first seed sounds most likely. Though the Lakers have the best record, they DO play awful against Portland whether it’s in LA or Portland. My prediction for the Trailblazers would be that they would hit the whopping 60 win mark and I’ll tell you why. Brandon Roy recently had knee surgery. TNT analysts and critics all around had their opinion on Roy coming back for the Suns series and I understand why. Roy is THEIR franchise player. They are risking the guy’s future to lose through the playoffs? (If you believe the Blazers will win the title this year, you should go to a corner and sleep). If Portland was smart, they’d rest the star. 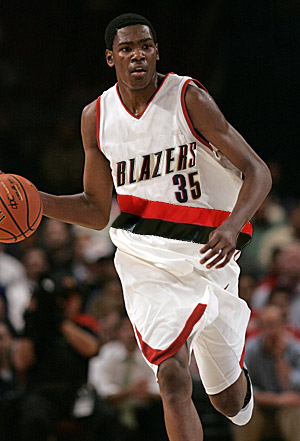 Now let’s get back to the dream of Blazer fans by having Kevin Durant in a red, white, and black jersey. I believe Durant would easily push Roy out of the picture as Portland’s franchise player. That would only be the good thing for Brandon Roy, is because he isn’t overshadowed by this now star KD. If I was a Blazers fan today, I’d be depressed all day about having a banged up Oden and not this current Thunder studded star. Sigh…! 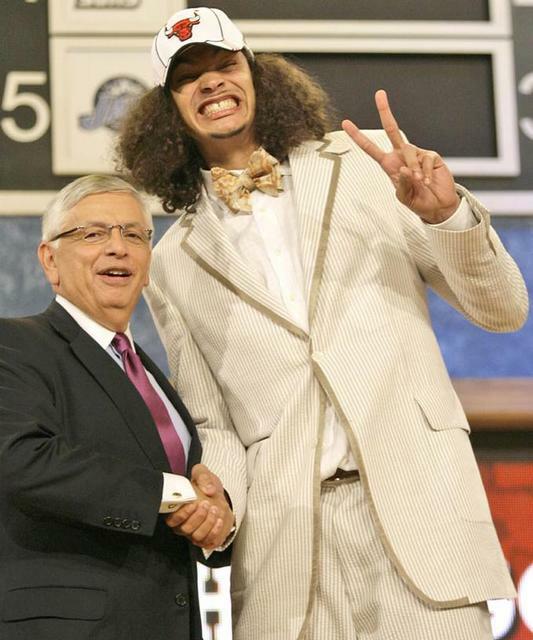 Just wanted to say Joakim Noah was the 2nd best player in that draft. Peter and I decided we’ll have debate talks over the mic on some questions from friends, fans, and just anyone with questions relating to the NBA. So if you have a question where you want to hear being debated about by two sports junkies, ask away! Leave a question in the comments area and if you’d like, make sure to leave a name. We will announce the person’s name then question in our debates. If this becomes successful, we’ll eventually throw in small gifts for great questions. Have fun! You are currently browsing the SCOOPS ON HOOPS blog archives for April, 2010.